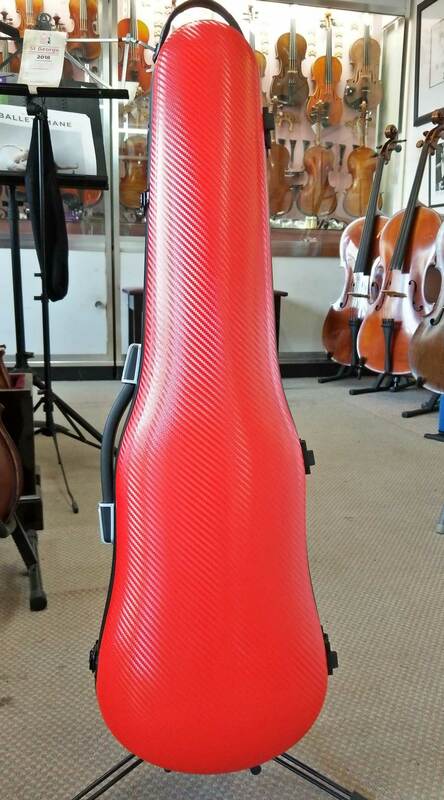 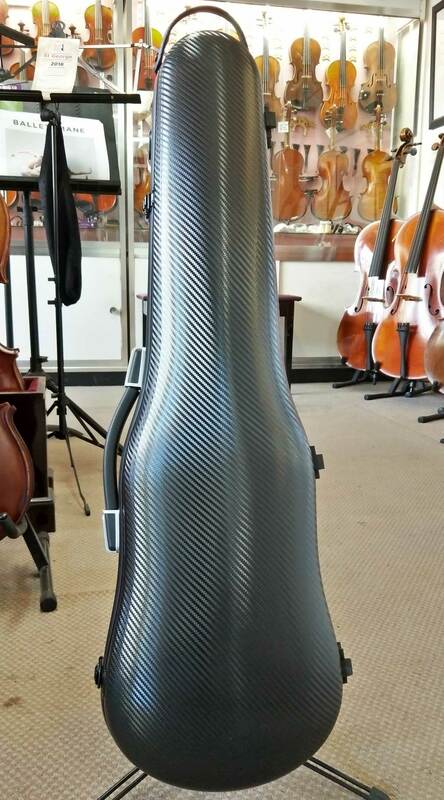 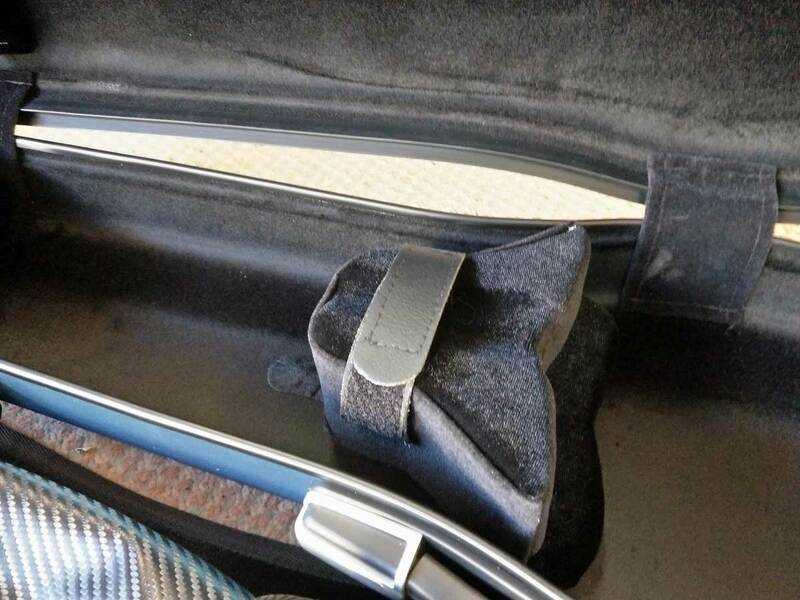 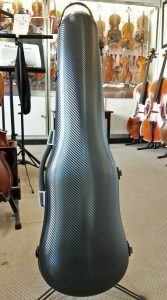 We have recently started to offer Gasparo carbonfibre instrument cases. 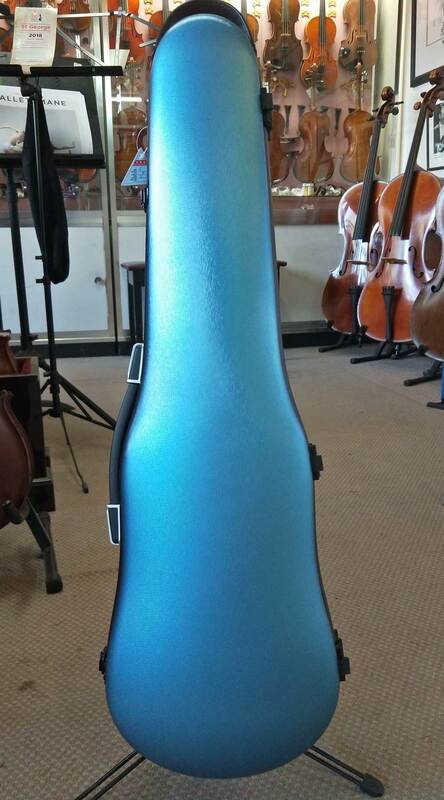 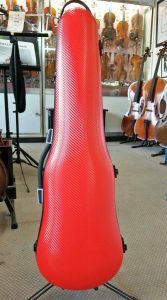 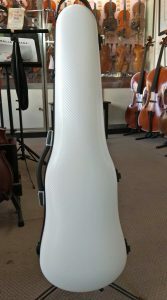 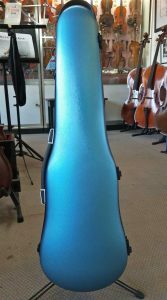 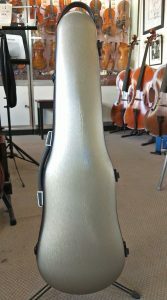 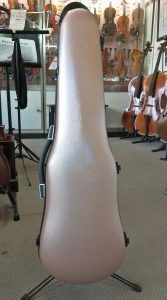 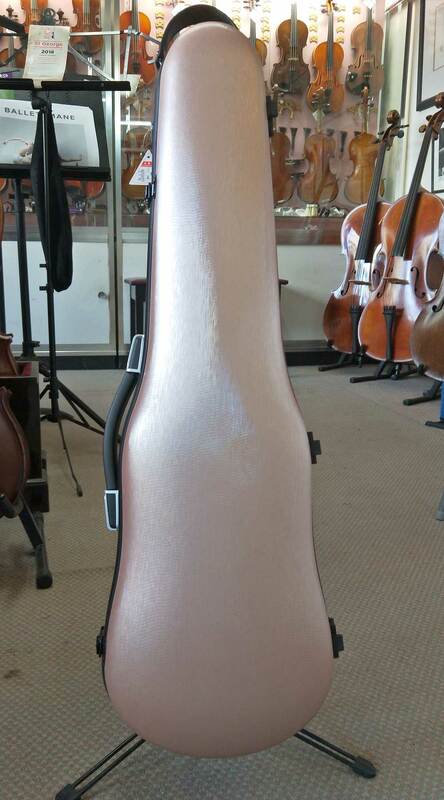 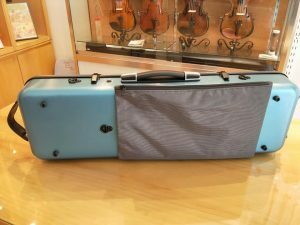 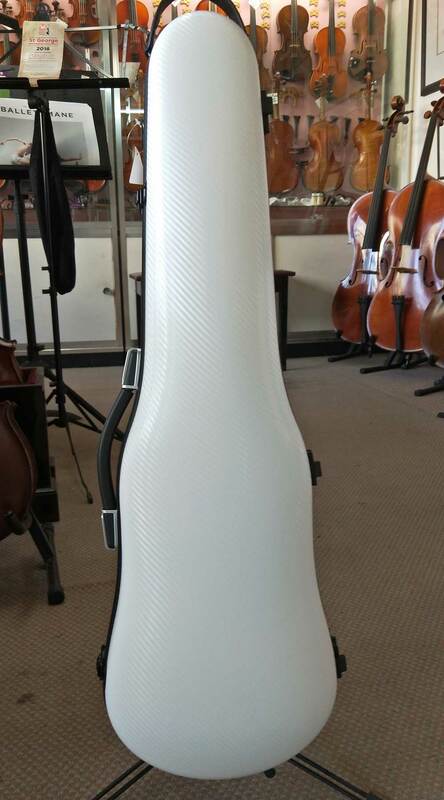 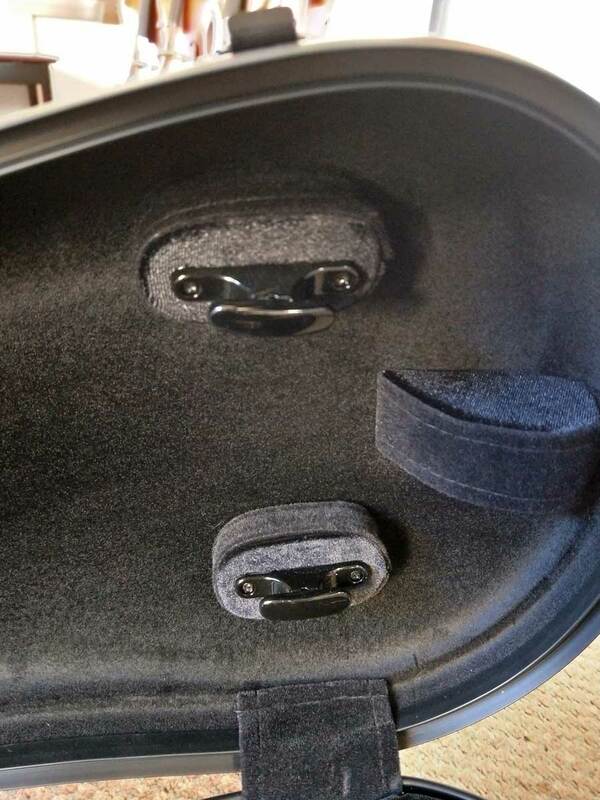 New Gasparo violin case model made in Polycarbonate in a shaped style or oblong. 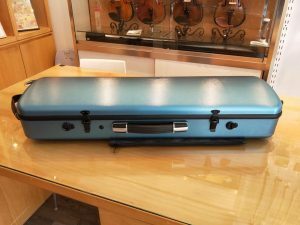 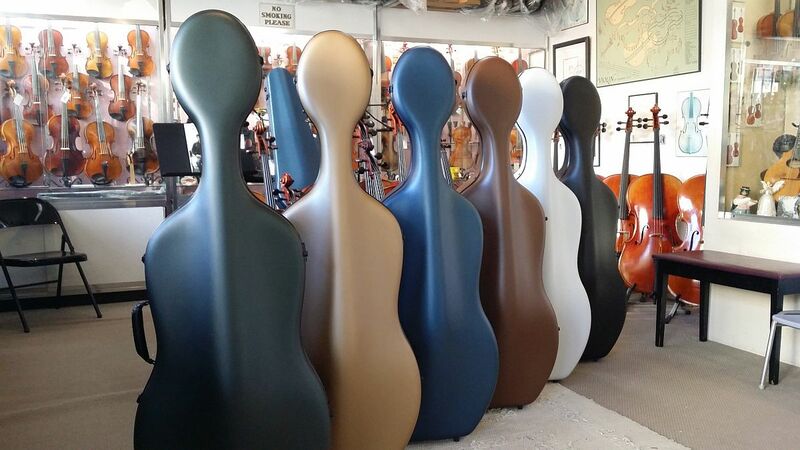 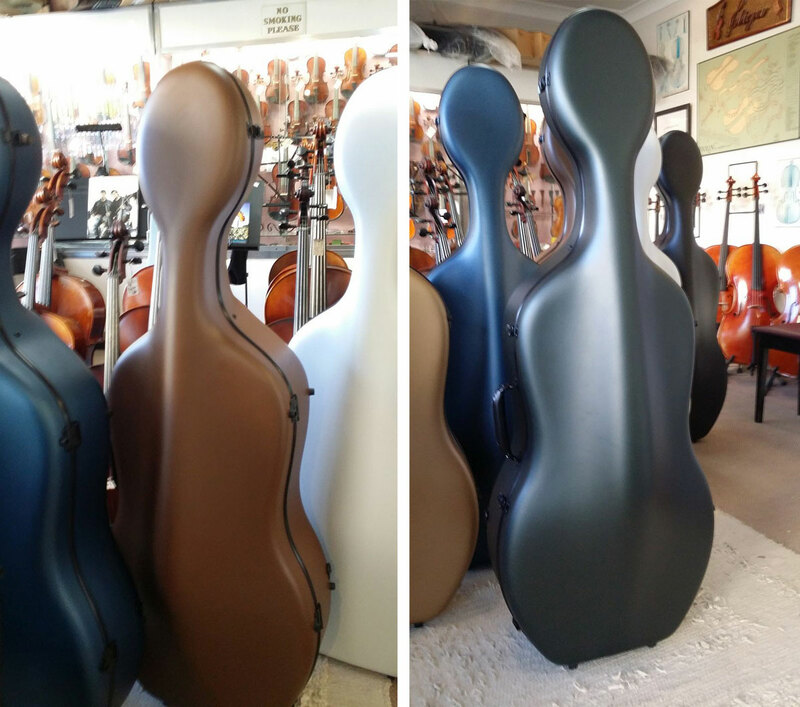 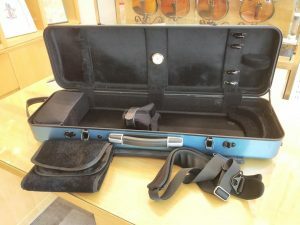 The shaped variety are $295.00 each and weigh only 1.6 kg and the oblong version is $325.00 including a music case are 2.1 kg. All include double backpack straps, ‘bus stop’ handle on the top & a blanket. 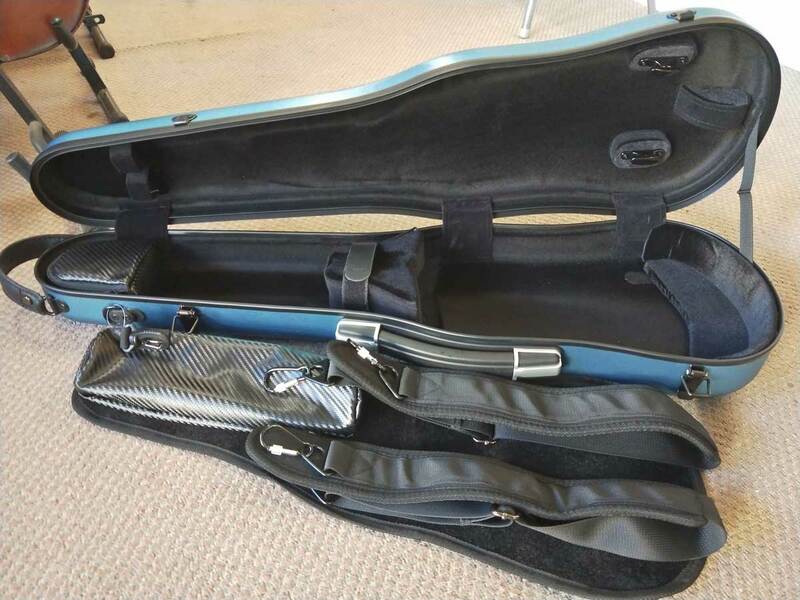 Strong, light & slim – perfect for everyone flying – in fact, any situation! 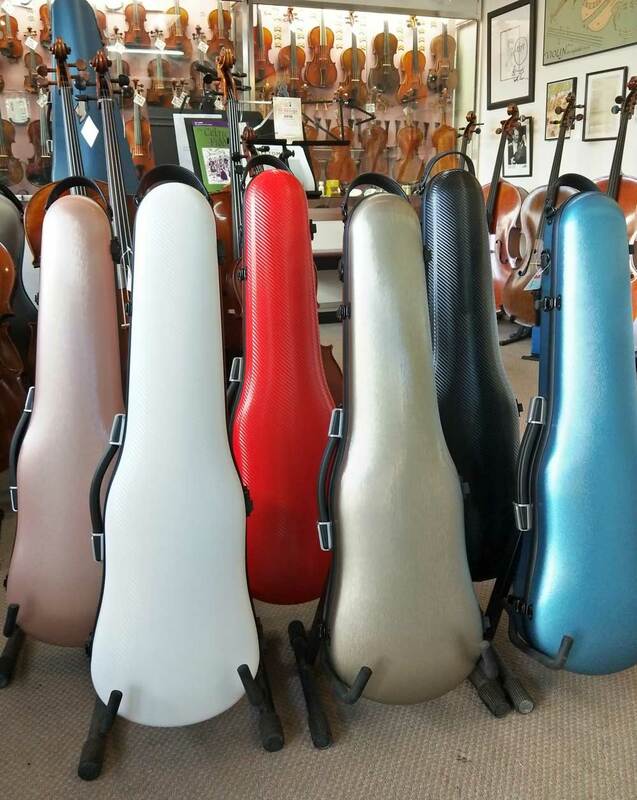 The shaped case comes in 6 colours; black, white, red, blue, gold & pink (should be refered to as rose gold). 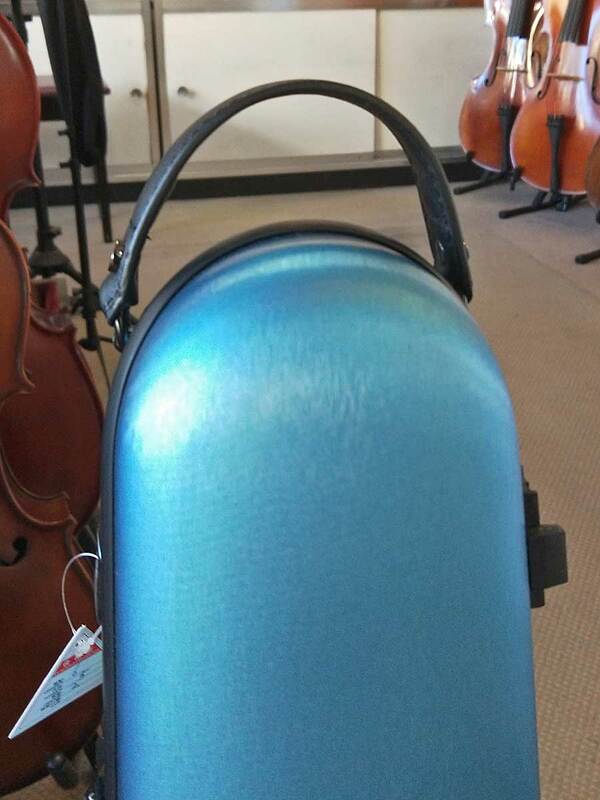 The oblong is in black, white, blue & pink and has a hygrometer.